Lying at the very edge of Europe, the islands of the Inner and Outer Hebrides share a rugged natural beauty, with unspoilt beaches, plentiful wildlife and a unique culture and traditions. 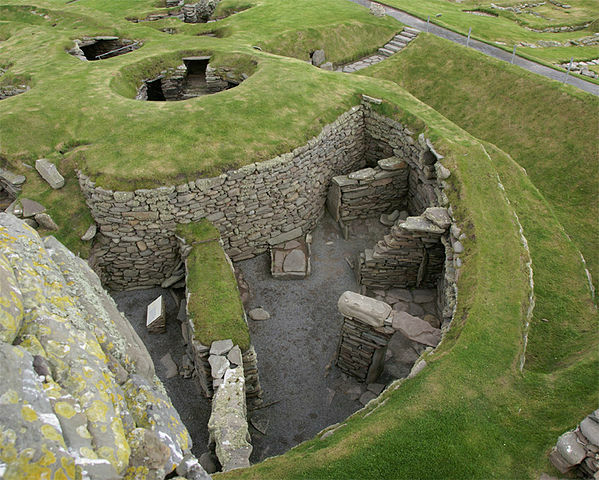 The northern archipelagos of Orkney and Shetland share many of these qualities and supplement them with some of the most fascinating and, at times, awesome archaeological sites in Europe, found in the burial mounds, stones circles and settlements of the earliest peoples. 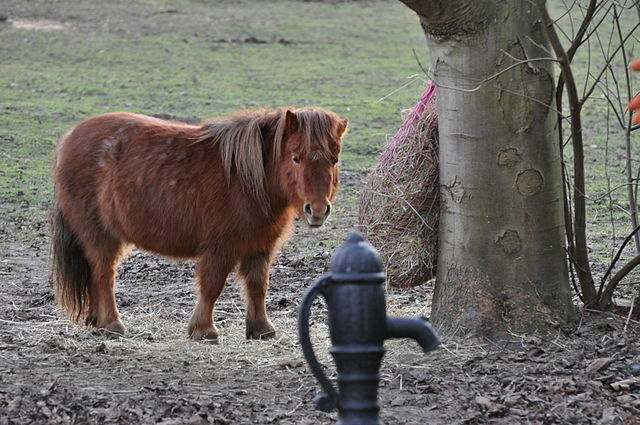 The islands’ Norse heritage is also evident everywhere although today’s invasions tend to be from the thousands of birds and other wildlife that make their home in these magical isles. 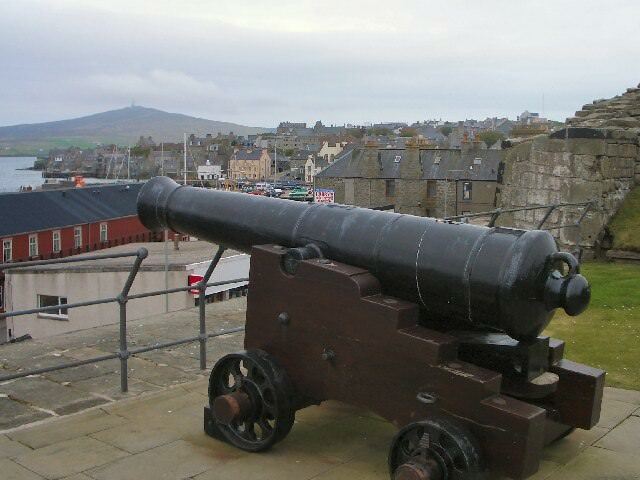 Shetland is surely one of the UK’s most distinctive destinations. 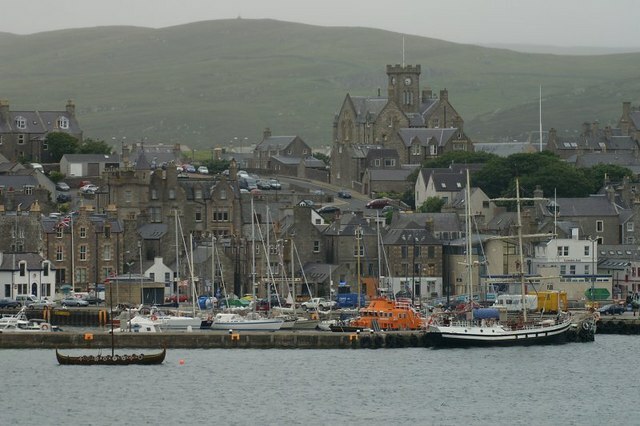 The main town, Lerwick, is built around its harbor, sheltered by the island of Bressay. Behind the busy harbor front, the older part of the town has narrow flagged streets, a good choice of shops, and some fine 18th-century buildings complete with ‘lodberries’, the private piers which serve as a reminder of the town’s origins as a trading post founded by the Dutch. 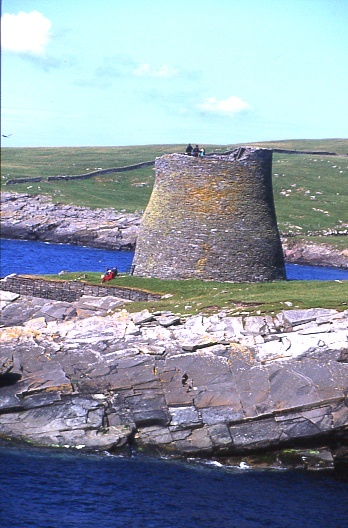 Beyond Lerwick, the Shetland landscape unfolds as rounded hills, green slopes and moors to form the ideal backdrop for Shetland’s teeming natural history. The sea is the lifeline for so many of Shetland’s wildlife sites, like the island of Noss with its awesome cliffs and gannet colony, or Sumburgh Head, just one of many places where puffin sightings are all but guaranteed – look out for otters in the surf as well. 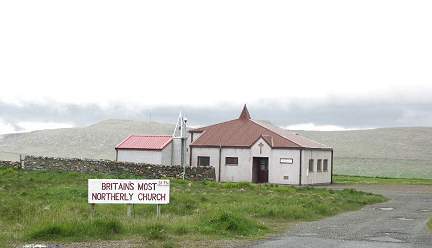 Wildlife is also one reason to visit Hermaness on the most northerly island of Unst; it also hosts one of the most rewarding of Shetland’s many walking routes where a walk across the moor brings visitors within sight of Muckle Flugga, the most northerly tip of the UK .